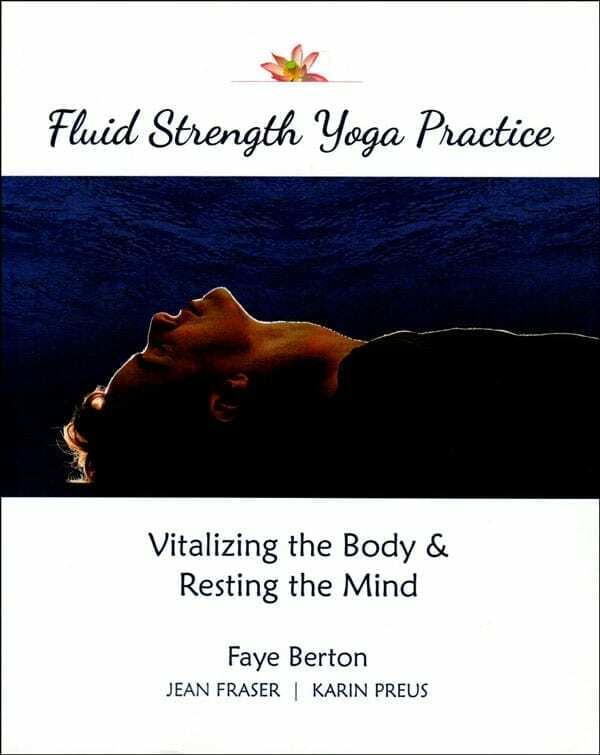 Fluid Strengthtm is a holistic yoga practice that cultivates whole-body strength and coordination. Rhythmic movement patterns — rather than traditional asana — are used to cultivate changes in your body. These movements are based on principles of the Feldenkrais Method®. The potency of the movements is magnified by being infused with vigorous breathing and Ayurvedic healing principles. You will develop functional strength, increases energy and refine your self-awareness. Through consciously engaging prana, Fluid Strength awakens spontaneous meditation and frequently stimulates a seemingly miraculous release of pain. I knew immediately when I began studying with Faye that I had found a master teacher. Fluid Strength has provided me space to grow and flourish on all levels. I am constantly transformed by the practice and have learned to approach whatever comes up with a sense of play and lightness. Before I started taking Fluid Strength classes I was having my back injected with steroids every three months. I started Fluid Strength 3 years ago and have not needed an injection since. It truly has changed my life. Arlene J. Mencke, Ph.D. / President, Decision Design, Inc. Preface – Is Fluid Strength for You? Whole-body movements that mimic activities of daily life, done with greater intensity and duration, are a highly effective way of cultivating the body. These kinds of movements challenge us to strengthen and mobilize our body in ways that we actually use it. The movement patterns of Fluid Strength are based on principles of functional strength. Current neuro-motor research tells us that dynamic, functionally-related movements are one of the best ways of improving strength, balance, agility, and coordination. In Fluid Strength, every movement is done with awareness of the whole body. Combined with vigorous breath, these movements enliven the body, awaken healing energy, and frequently result in a spontaneous release of pain.